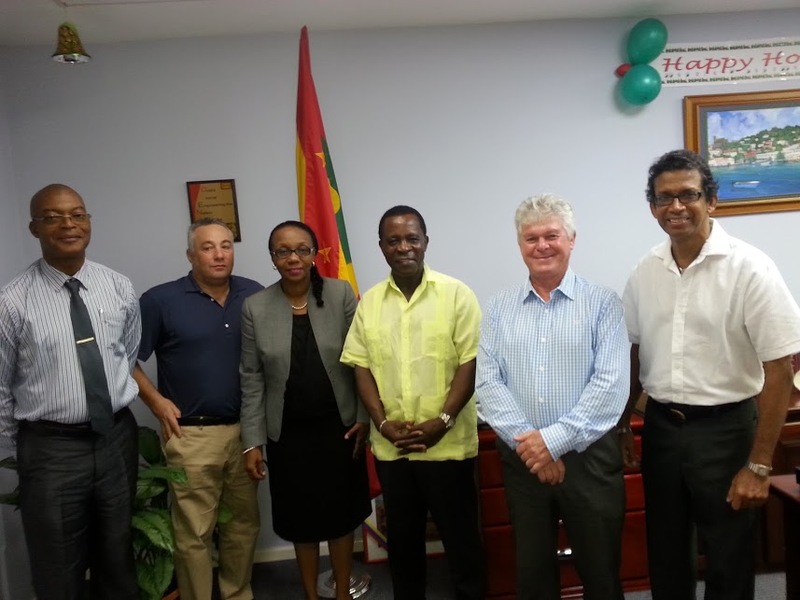 During a brief visit to Grenada, at the close of the year 2015, Michael Sherwood, the main donor of Grenada Schools Incorporated, his wife, Melanie Sherwood, and local trustees (Leo Garbutt, Lyden Ramdhanny and the CEO, Andrea Phillip), met with Prime Minister, Dr the Rt Hon. Keith Mitchell, and Education Minister, Hon. Anthony Boatswain. The main purpose of the visit was to provide an update on the reading programme that is being developed for the Grade 1 students, in public primary schools. Much of the groundwork for the reading programme has been done. The students’ reading fluency and comprehension levels were tested through the Early Grade Reading Assessment (EGRA), and material was designed to build their reading capacity. Training for the literacy coaches begins on 11 January 2016, in preparation for the pilot phase of the programme, which commences in February, 2016. The programme, which has 3 components, (Teacher Training, Reading Instruction and the Establishment and Management of School Libraries) will last three years. It is expected to significantly impact the students’ reading performance. Sherwood expressed his appreciation for the great collaboration with the Ministry of Education and Human Resource Development, and said how pleased he was with the progress of the programme. 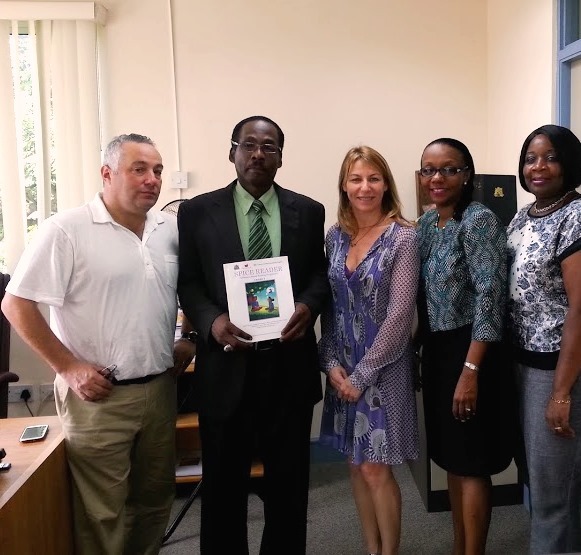 The Prime Minister and Education Minister both expressed how grateful they were that Grenada was considered for the programme, and how pleased they were with the contributions made by local authors and illustrators. They were both presented with a copy of the Grade 1 student book. Mr Sherwood announced that it was the GSI’s desire to make Grenada one of the most literate countries in the region.